Let Gregory Peck and Audrey Hepburn roll into your life on their Vespa. 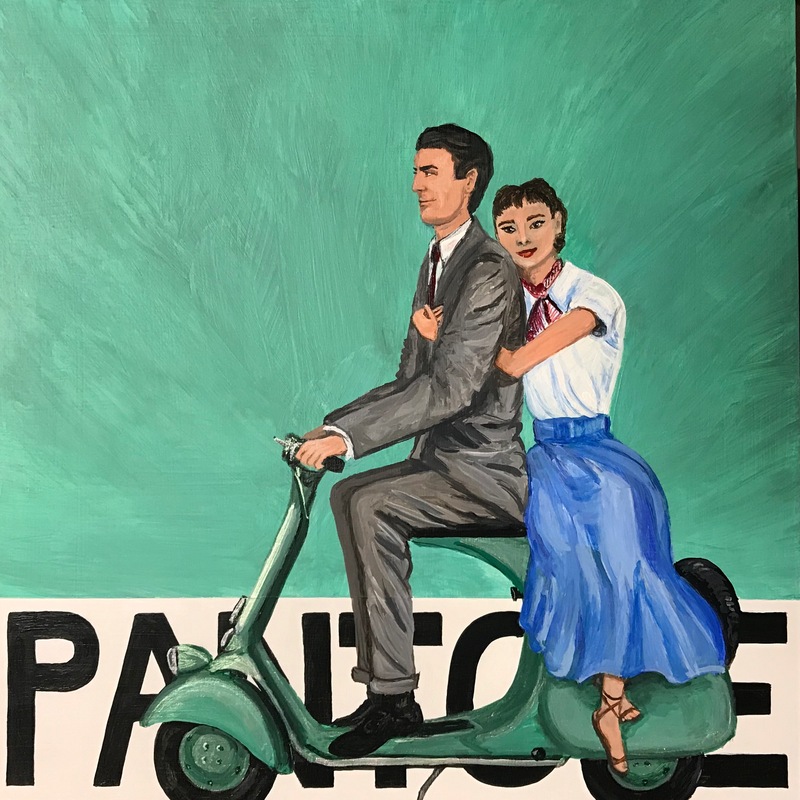 Part of the Pantone Series, this was painted in 2019 and created in a special medium size. Acrylic on wood panel; measures 10″ W x 10″ H. These piece comes wired and ready to hang; and are meant to look like larger Pantone-inspired chips when installed.